Not allowing unionized workers on the $8.8-billion project would have amounted to "chaos." 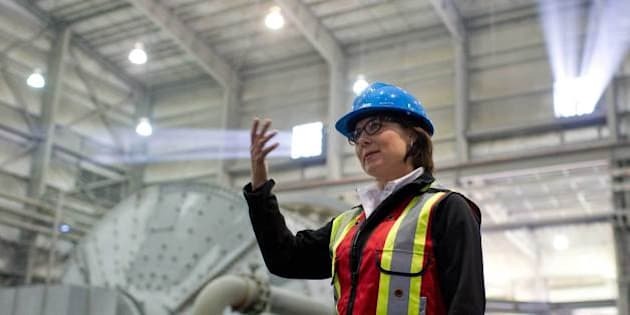 VICTORIA - Premier Christy Clark has intervened to reverse BC Hydro's decision to switch to an open-shop format that would prohibit union organizing on the $8.8-billion Site C dam. "I think BC Hydro took this a step too far when they said they can't organize on the site," Clark said Tuesday, a day after the province's council of building trades filed a lawsuit that argued BC Hydro's plan violates the charter. "In the last 24 hours, I've spoken to ministers and I’ve spoken to the CEO of Hydro so they're going to rework their proposal. They do have the right to organize and BC Hydro can't take that away." Tom Sigurdson, executive director of the B.C. and Yukon Territory Building and Construction Trades Council, said the utility's plan would have meant any non-union contractor bidding on part of the project couldn't access unionized work crews and that would have amounted to "chaos." "In all of the projects that we have worked on since 1963, there has been a project labour agreement, where there has been an overarching authority," he said, adding five components of the Site C project need to be co-ordinated on such a mega project. "There isn't a contractor in British Columbia that can access that size of a workforce, especially in a relatively remote part of our province." The council met with Hydro's CEO Jessica McDonald at least three times since last October urging her to change the policy while also lobbying the province before deciding on the lawsuit, Sigurdsons said. Top 60 High-Demand Jobs In B.C.